Item # 308931 Stash Points: 4,999 (?) This is the number of points you get in The Zumiez Stash for purchasing this item. Stash points are redeemable for exclusive rewards only available to Zumiez Stash members. To redeem your points check out the rewards catalog on thestash.zumiez.com. Get a signature athletic look from K-Swiss with the Golden Slam Grey Hoodie. 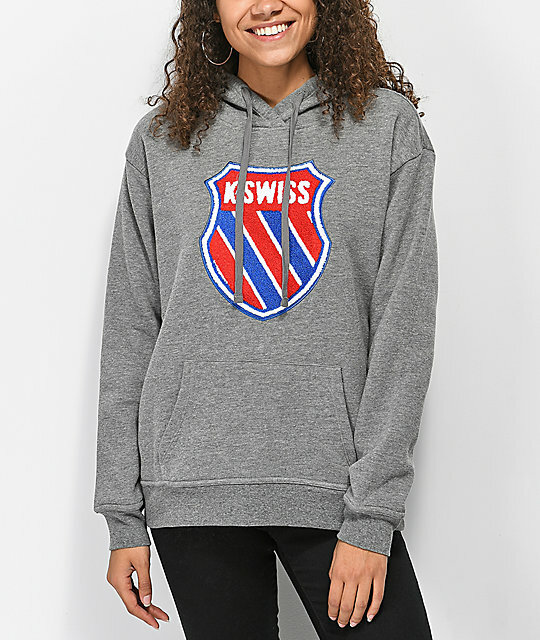 This hooded sweatshirt features a chenille K-Swiss logo patch at the chest for a stand-out look. A soft fleece lined interior makes this a super comfortable garment that you'll never want to take off. 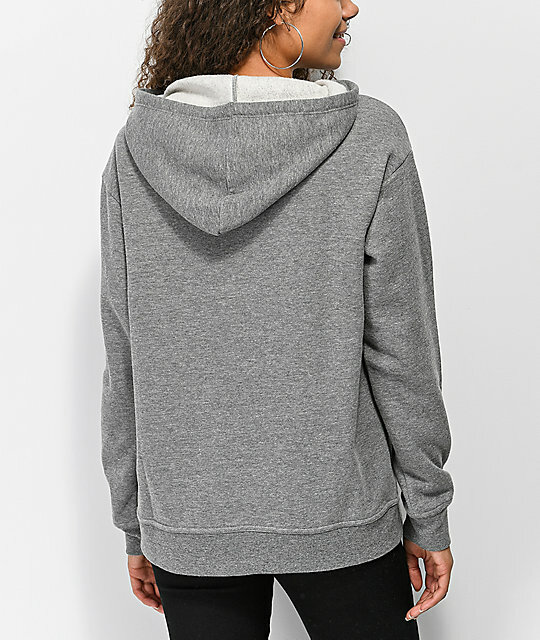 Golden Slam Grey Hoodie from K-Swiss. 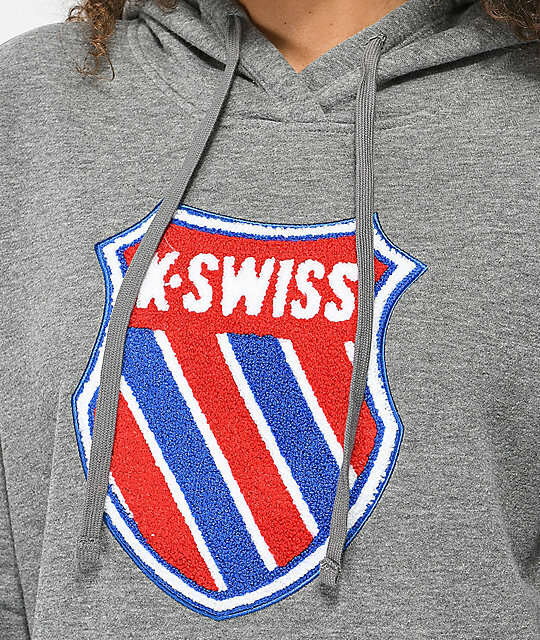 Chenille K-Swiss logo patch on the chest. 25" (63 cm) from top shoulder seam to bottom hem.